It is made from polyester-cotton blend making it comfortable to wear. 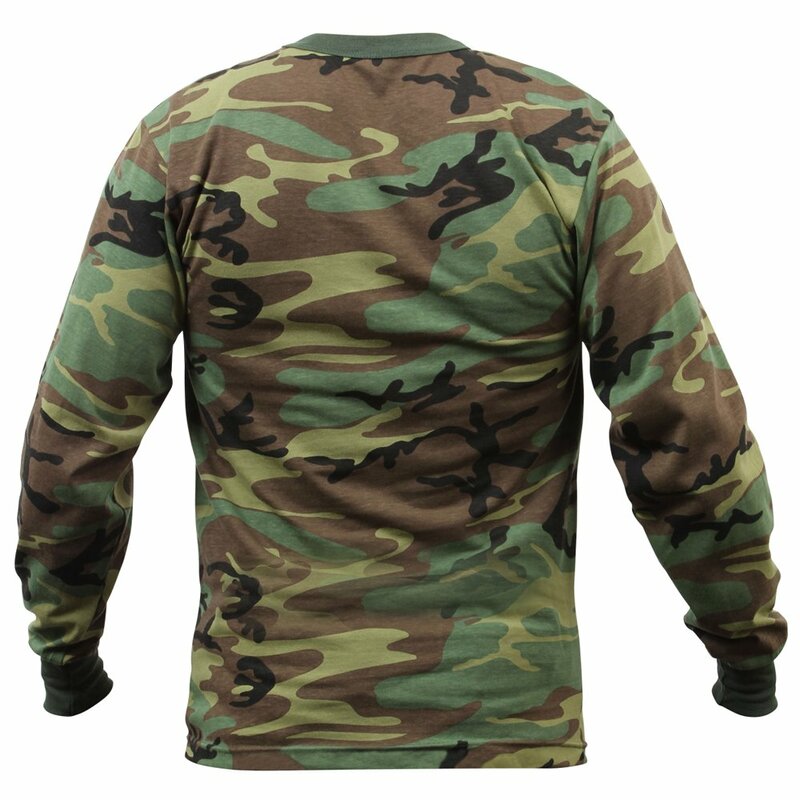 The T-shirt is soft and stylish. 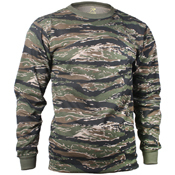 The T-shirt is long-sleeved and has round neck. 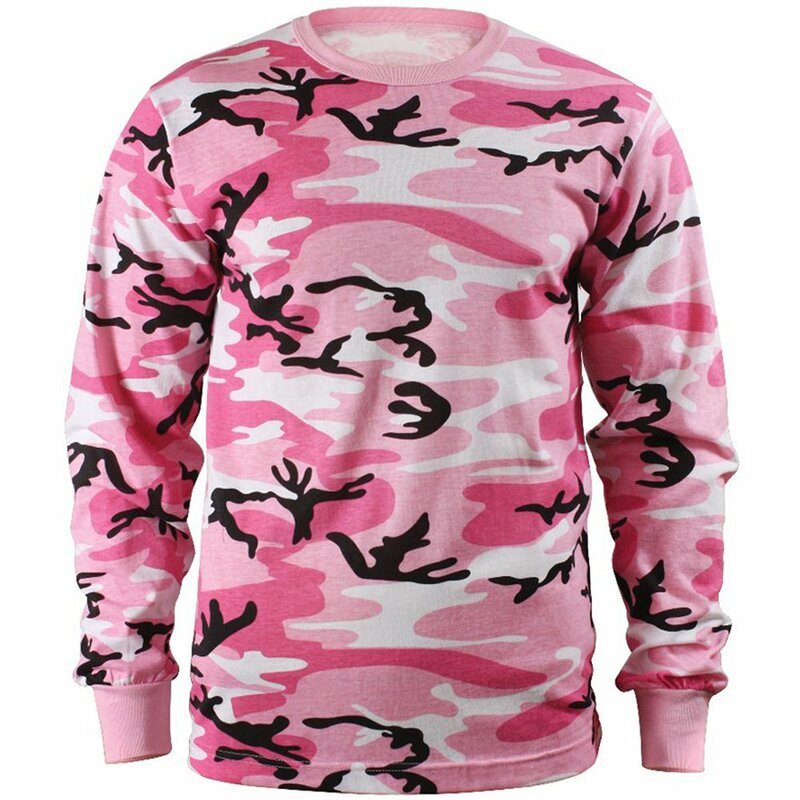 The color is very attractive and goes very well with any color jeans. 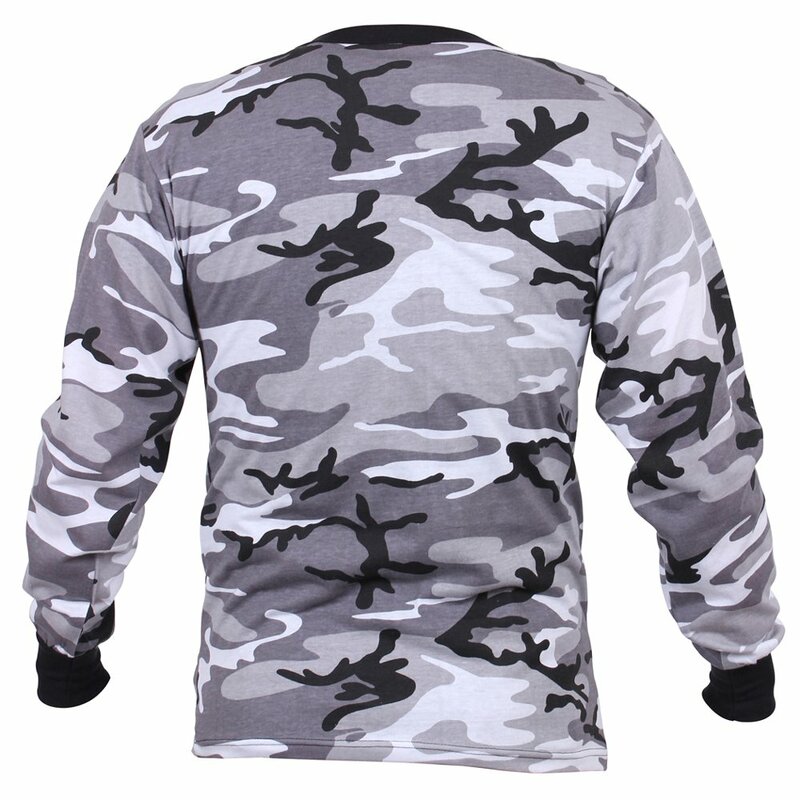 The cotton and polyester material is very skin friendly. 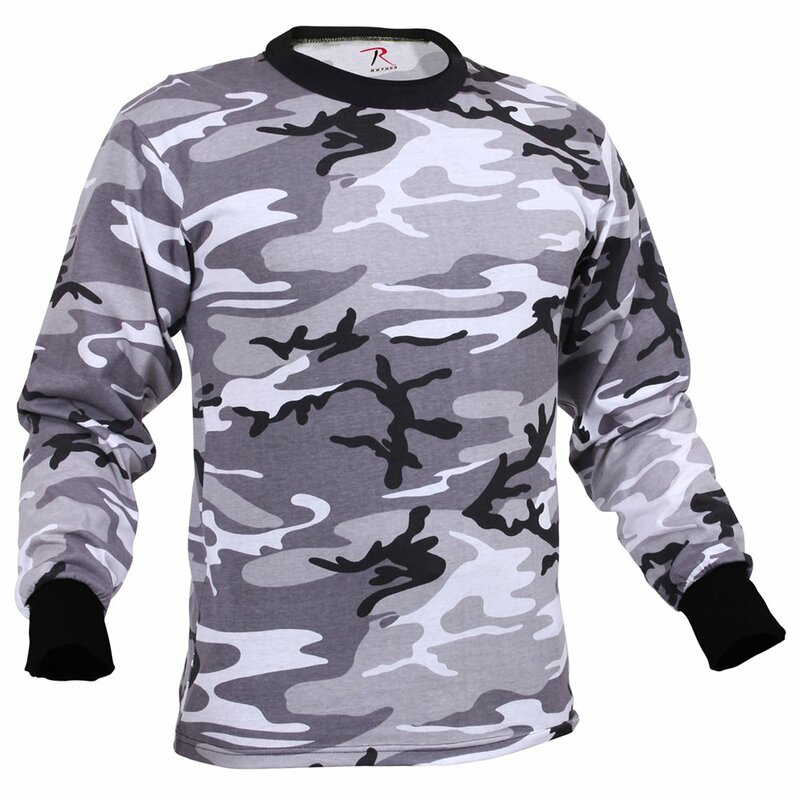 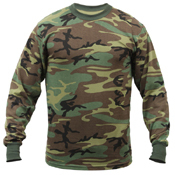 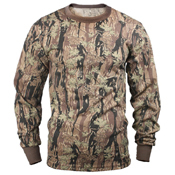 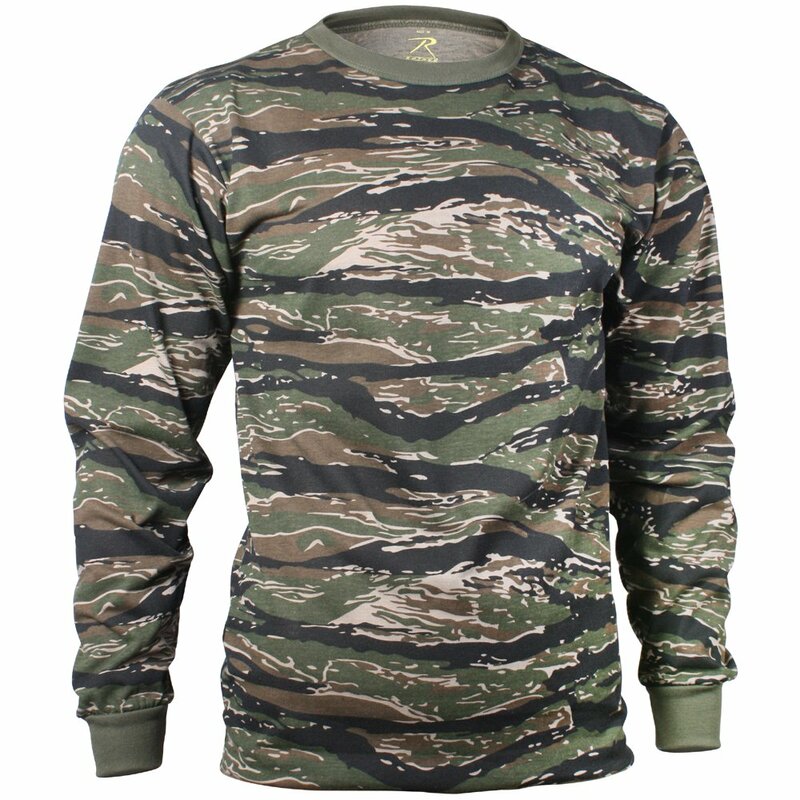 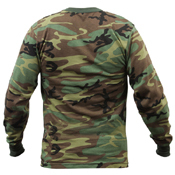 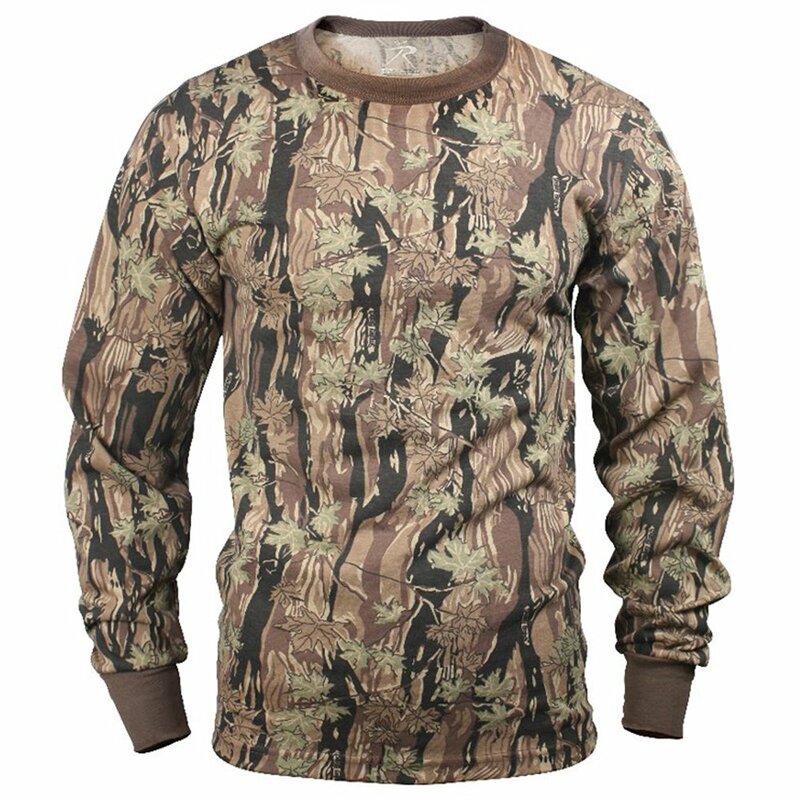 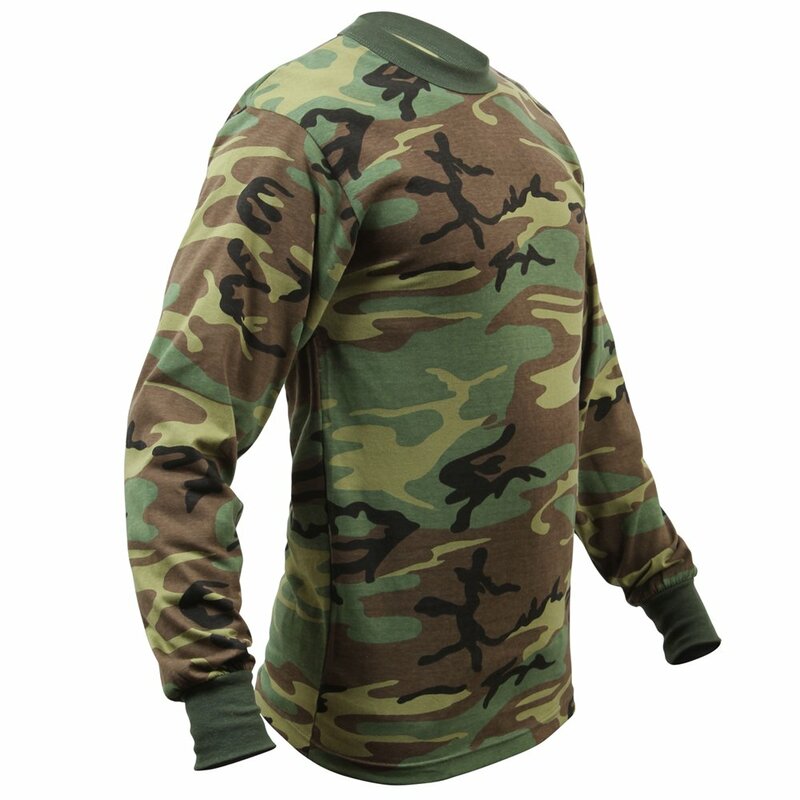 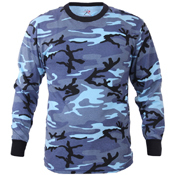 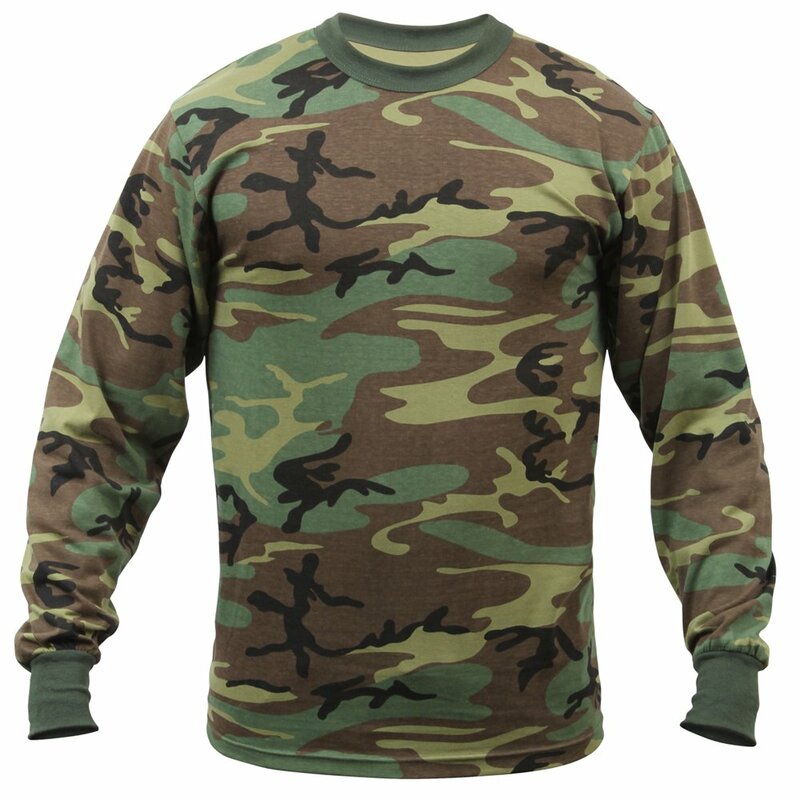 The T-shirt has a camouflage print that gives it a very stylish look. 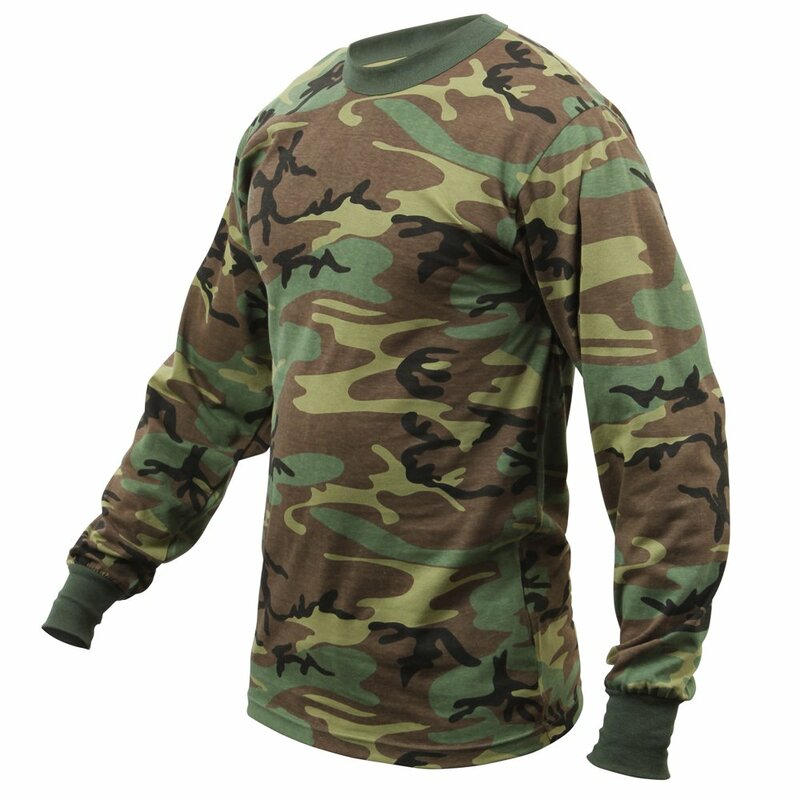 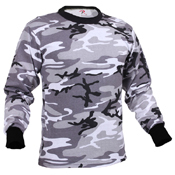 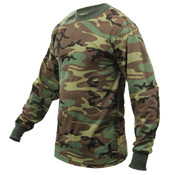 Long sleeves ensure that your hands are covered when you are out on a camping trip. 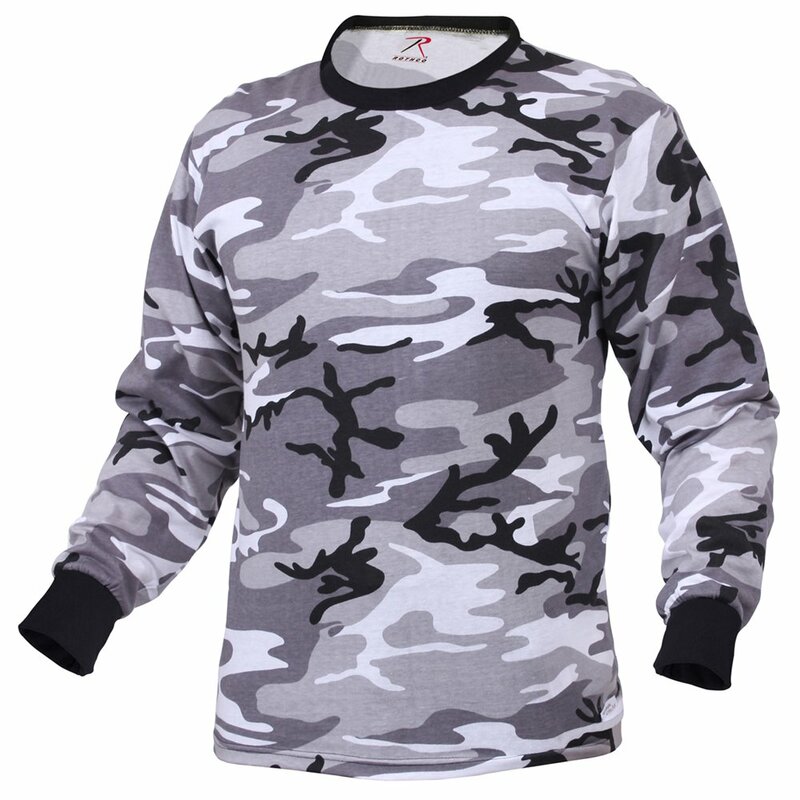 The T-shirt is a perfect wear for all year round. 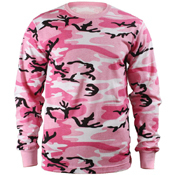 This is a menswear and can be worn both as casual or formal outfit.